Taimur Ali Khan is back and we can’t get over the fact that the holiday has changed him. Kareena Kapoor and Saif Ali Khan along with their two-year-old son had a great vacation time in Gstaad, Switzerland. Picture of little munchkin Taimur will definitely make you smile. Baby Taimur is seen enjoying quality time with his father Saif Ali Khan. . . . @bollywoodtimes__ #taimuralikhan #bollywoodtimes #bollywood #BT For more such updates click the link in bio. We have shared with you a lot of pics of the little guy from their vacation having fun in the snow. Those were just adorable. We were waiting for them to return so that we can get a glimpse of the starkid every day. 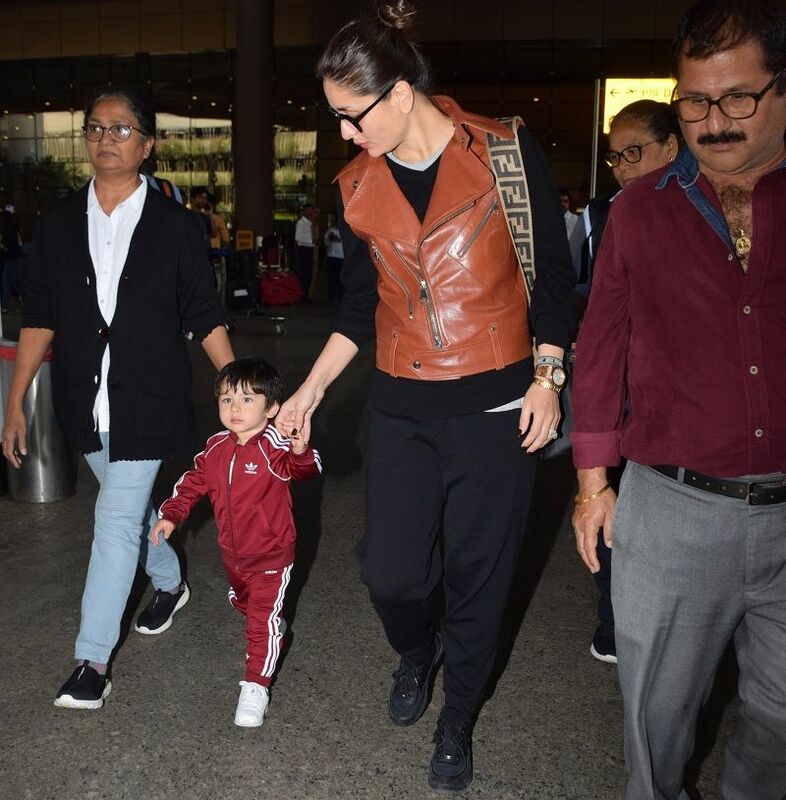 Finally, Kareena and Taimur have returned and we couldn’t shake off the feeling that the little Khan suddenly looks all-grown-up. He isn’t bending backwards, literally, to check out his paparazzi friends or looking at them curiously. He is walking with his mother like a mature guy keeping a look out for anyone untoward. He seems all mature! Now we may be wrong here but he does look like that. This little Khan has all the luck. After a birthday bash in South Africa, he was off to London and Switzerland for his New Year holidays. How cool is that! On his Switzerland vacation, he slayed the sledge, precariously clicked pictures with his parents and even rode a bicycle. Next articleDeepika Padukone Declines To Star Opposite Ranveer Singh In ’83 For This Reason? Exclusive: Sajid Nadiadwala Announces The Third Installment Of Baaghi Movie!